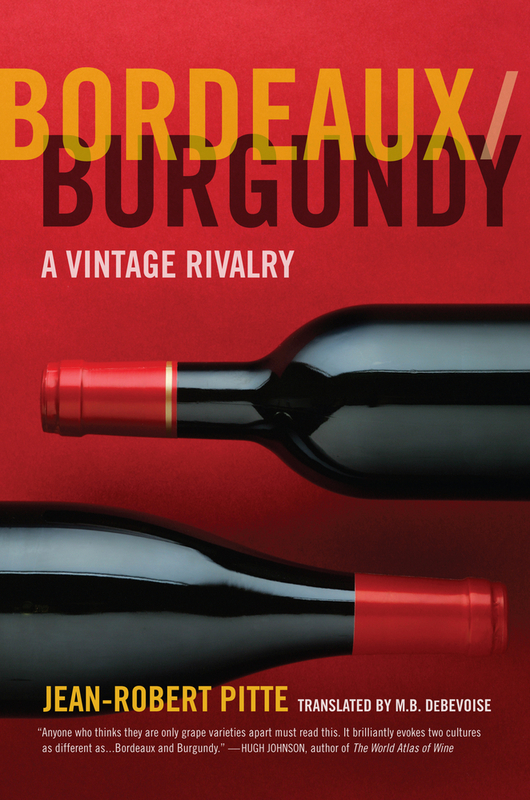 Seeking to penetrate the mysteries of two great wine regions—"two opposite civilizations, two distinct ways of feeling"—Jean-Robert Pitte embarks upon an evocative and fascinating exploration of the land, people, and wines of Bordeaux and Burgundy. His account is a rich tapestry of terroir, history, culture, and economics from Roman to modern times. The unique qualities of the wines of each region, Pitte believes, cannot be entirely explained by the differences in their physical environments: they have social origins as well. 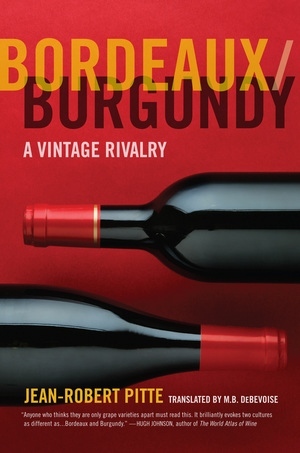 Beginning with an entertaining look at the remarkable variety of insults exchanged by partisans of the two regions, Pitte delves into the key role played by medieval monks, dukes, and peasant vignerons in building their respective reputations and in creating the rivalry between bourgeois Bordeaux and earthy Burgundy that we know today. His sparkling, fair-minded narrative, engaging the senses and the mind alike, conveys a deep appreciation of two incomparable winegrowing cultures, united despite their differences by a common ambition to produce the best wines in the world. Jean-Robert Pitte is professor of geography and president of the University of Paris IV-Sorbonne. He is the author or editor of twelve previous books, including French Gastronomy and History of the French Landscape.